You know what I can’t stop listening to right now? 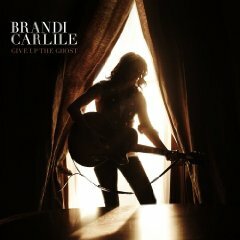 Brandi Carlile’s Give Up The Ghost. I discovered her last album The Story sometime last year and listened to it non-stop for a month. She evokes a certain likeness to the Indigo Girls with a little more bohemian feel and I love, love her music. Might make for a great stocking stuffer for the music lover in your life. Go over Brandi’s site and have a listen, I guarantee it will make you happy. good stuff. likenesses to indigo girls are rare. I love the Mangy Moose! Can you imagine the crowd that night? Now that would be some good fun girlfriend. Oh, I so love her!